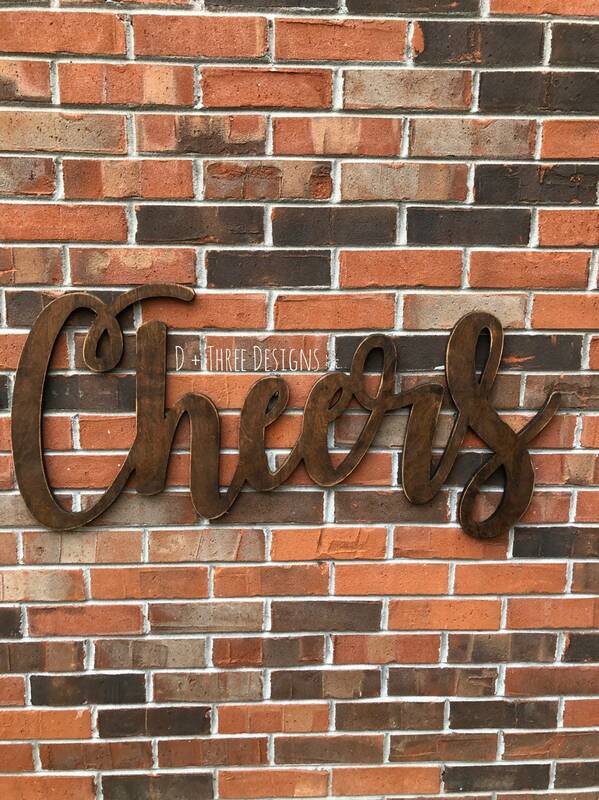 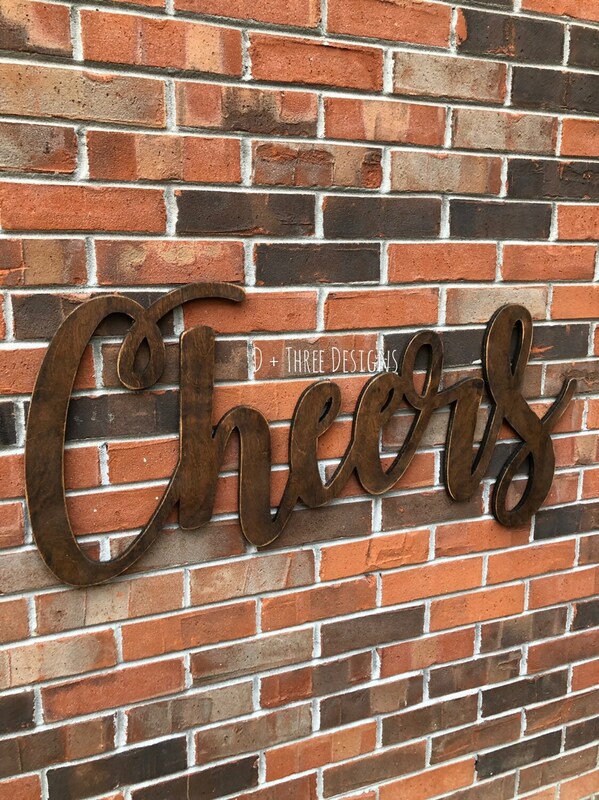 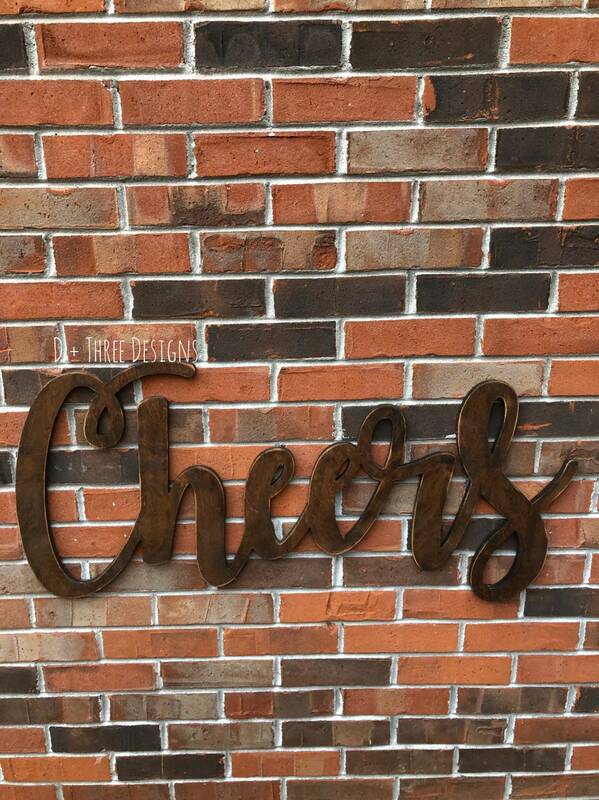 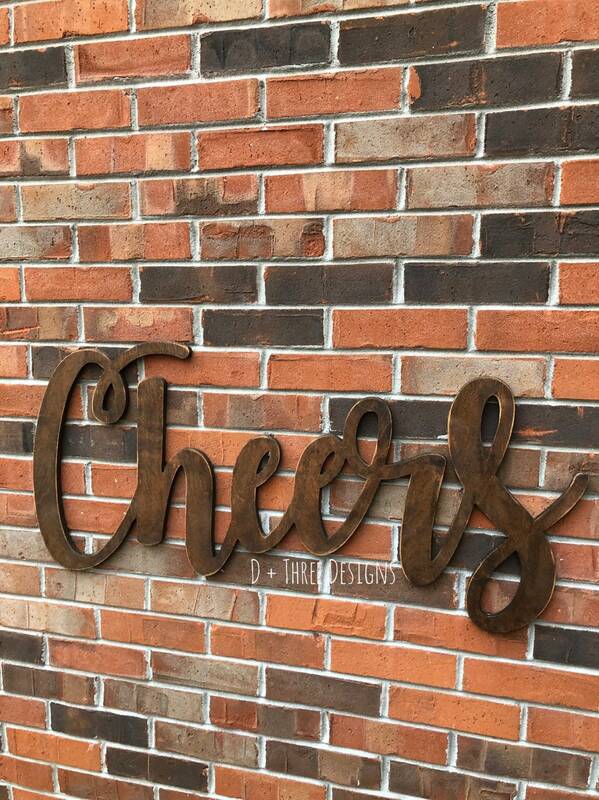 This beautiful large "Cheers" sign is made out of 1/2 birch wood and measures approximately 16" tall x 36" wide. 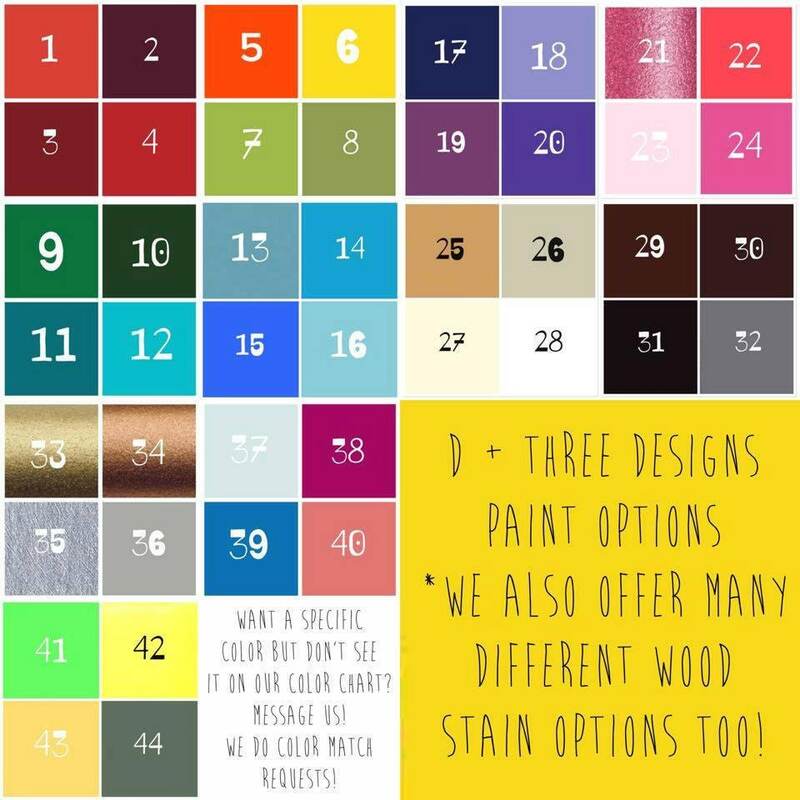 It comes painted or stained your choice of color. 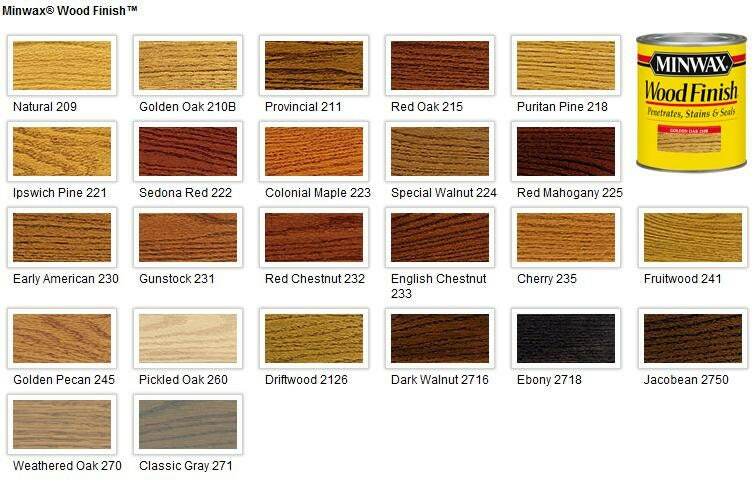 The color in the listing photo is stained jacobean, distressed, with a clear gloss sealer.